The ACS anniversary timeline can be found online at FACS.org. 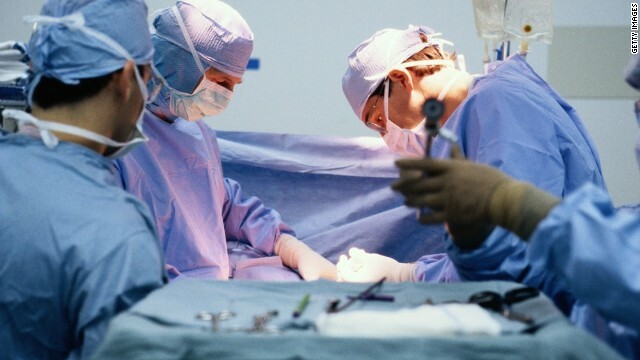 When the American College of Surgeons was formed in 1913, "infection rates were high, blood supplies were almost non-existent, tools were fairly crude, standards were lax, and patients were rightfully scared," according to an announcement of the organization's 100th anniversary. 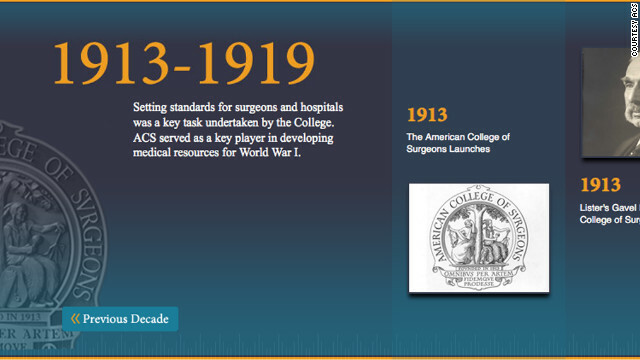 Since then, surgery has made significant strides - many of which are shown in the interactive timeline launched by ACS this week in celebration of the centennial milestone. The ACS was founded to improve the quality of care for surgical patients by setting better standards for education and practices, says president-elect Dr. Brent Eastman. 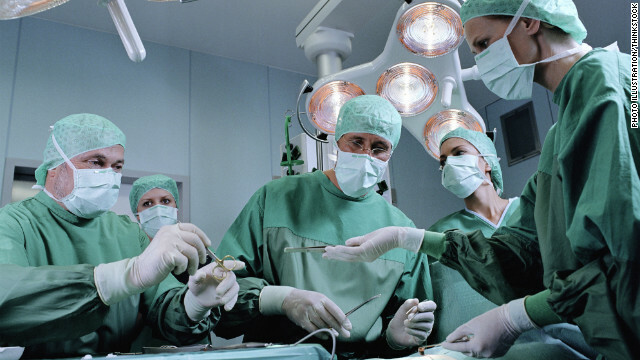 More than 78,000 surgeons worldwide are members of the professional group. From the first blood bank opening in Chicago in 1937 to the first complete face transplant surgery in Boston in 2011, the ACS has been at the forefront of many medical breakthroughs. But Eastman and the ACS fellows aren't dwelling on the past; even as they celebrate their history, they're looking to the future. A 44-year-old man in Dartmouth, Massachusetts can finally hear normally after a decade of being tormented by the sounds of his own body. For 10 years, Manny Pavao was afflicted with superior canal dehiscence syndrome, caused by a tiny hole in the bone that separates the inner ear from the brain. A 37-year-old man received an extensive face transplant stretching from his hairline down to the neck, including a jaw, full set of teeth, tongue and cheeks. The surgery essentially replaced most of the patient’s face except for his eyes and the back remnant of his throat. Richard Lee Norris of Hillsville, Virginia, is the 23rd patient to receive a face transplant in the world. 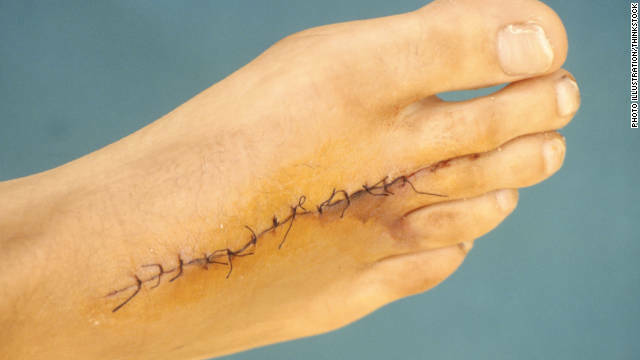 His doctors at the R. Adams Cowley Shock Trauma Center at the University of Maryland Medical Center say this operation is the most extensive surgery of its kind because of the extent of the transplant and the placement of an entire set of teeth. The hospital did not release details about the anonymous donor, due to the family's request. 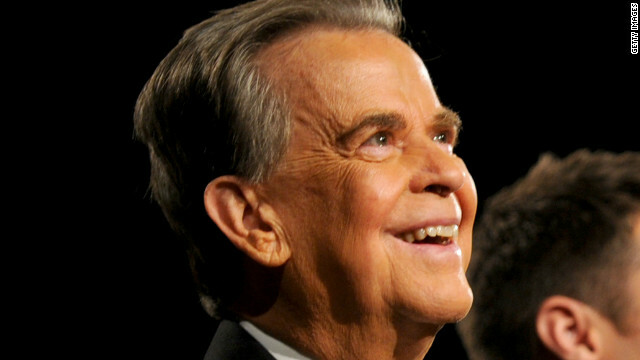 The family specifically consented to the face transplant procedure. His heart, lungs, liver and kidneys were used to save the lives of five other patients, according to the hospital. Older people with heart disease who undergo non-emergency procedures to restore blood flow to their heart generally have better long-term survival odds with bypass surgery than with angioplasty, according to new research published online in the New England Journal of Medicine. 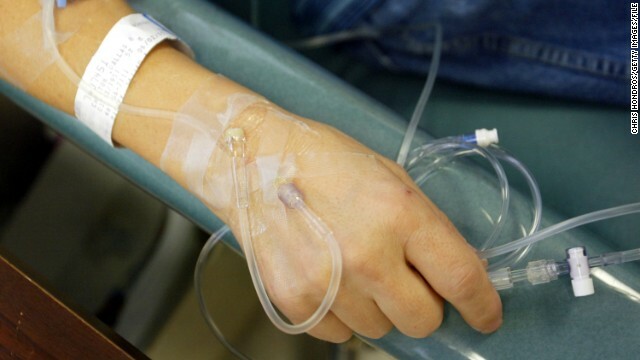 The study included about 190,000 men and women over age 65 who had bypass surgery or angioplasty - a far less invasive procedure - between 2004 and 2008. 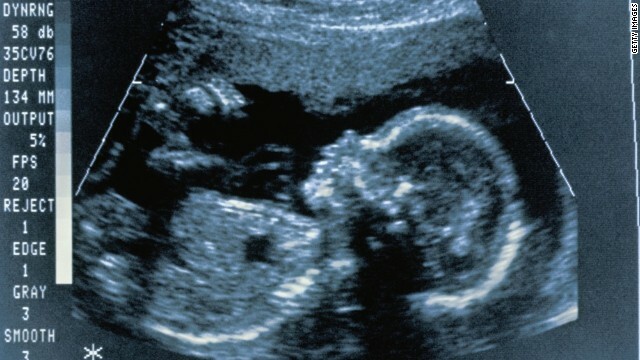 One year after the procedures, the survival rates for both groups hovered just under 94%. At the four-year mark, however, 84% of the bypass patients and 79% of the angioplasty patients were still alive. When your kid needs surgery, your response is probably, “Do whatever is necessary to fix him NOW. We’ll worry about later, later.” But it turns out that putting a child under anesthesia may increase the risk of long-term damage to his or her ability to think. 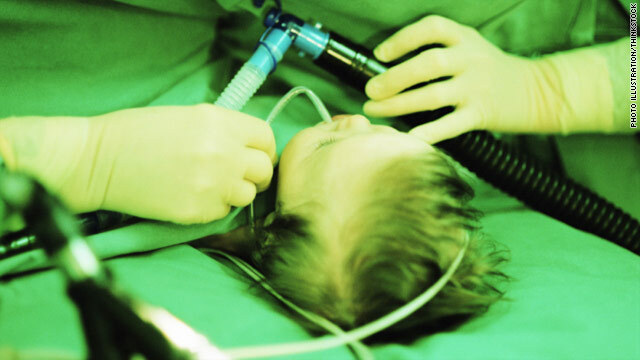 A new study published by the American Academy of Pediatrics concludes that exposure to anesthesia before age 2 may manifest in a form of cognitive impairment called apoptotic neurodegeneration. But let’s not get ahead of ourselves. First of all, the researchers found no greater risk in those subjects who had only been “put under” once. Multiple exposures to surgery/anesthesia, on the other hand, significantly increased the risk of developing learning disabilities later on in life.